Opening Weekend Was a Success! Last weekend was opening weekend at the Medora Musical–and it was one rootin’-tootin,’ boot-scootin’ heck of a time! There was singing while dancing. And of course, there was laughter all night long! Top 3 Medora Musical Moments! In celebration, here are a few of our favorite Medora Musical Moments that you should watch out for! Medora Musical Moment #1 : The Cloggers! It’s not tap… It’s not swing… IT’S CLOGGING! Clogging has been featured in the Medora Musical since the very beginning and is an unforgettable part of the show! Keep your eyes and ears peeled for the unmistakable sight and sound of the Medora Cloggers! Medora Musical Moment #2: The Variety Show! 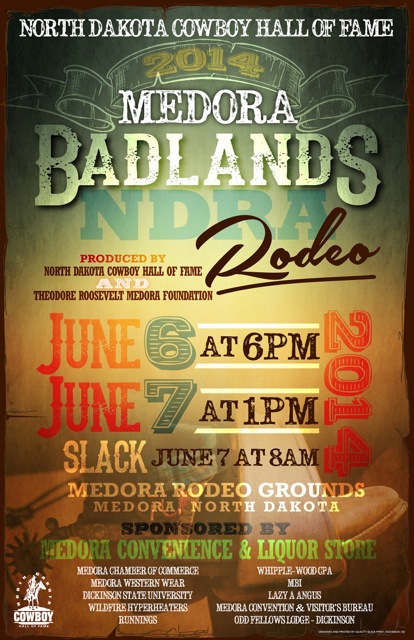 The fun never stops at the Medora Musical! While the cast and crew prepare for the second act, guests experience unforgettable entertainment in the form of our variety shows — which change throughout the season! You’ll never laugh so hard, cheer so loud, or be so amazed as you are watching comedic and acrobatic talent brought here from around the world! Check out this year’s Variety Acts here! 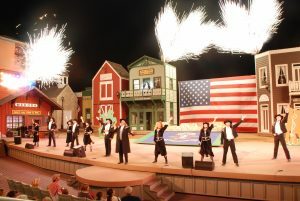 Medora Musical Moment #3: The Firework Finale! 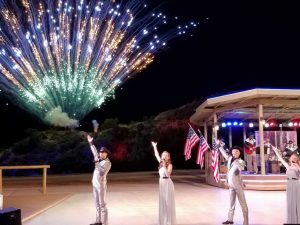 Nothing ends a night better than the Medora Musical’s breathtaking fireworks display! You won’t want to miss one minute! Look for more Medora Musical Moments here! NDCHOF NDRA Rodeo May 2014 30 Sec TV Spot from Ken Howie Studios on Vimeo.